One collection that is, that truly spoke to me. But before getting to it, I have to say that the entire fashion month, and Paris Fashion Week in particular because my expectations were the highest there, was more disappointing than it was exciting. Too little designer work and too much (poor) stylist work. Too many incoherent collections throughout which too much seemed to be happening. Too much adherence to the heavily marketed fashion phenomenon (fashion and image-making taking over clothes-making). 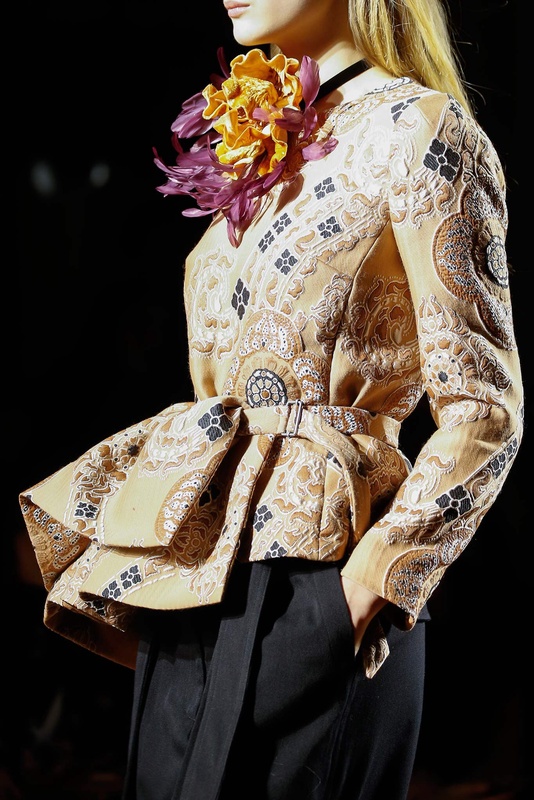 Too many attempts to imbue undeserving collections with some kind of avant-garde status or simply much more value than they were due just because they are label collections (yes, Hedi Slimane’s Saint Laurent is on top of the list; and Alessandro Michele’s Gucci, I am looking at you, too). But in the eyes of most fashion editors and journalists, every collection on their schedule was a triumph, more or less. Why does everyone succumb to the industry peer-pressure when it comes to the runways? 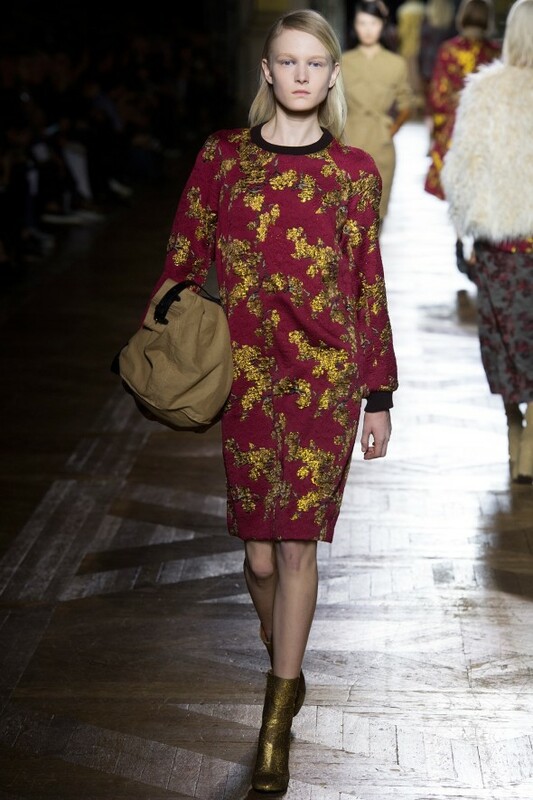 That said, Dries Van Noten is the one collection I loved the most, my favourite of the season. The clash of colours, the play of prints (nobody does it like Dries, so naturally and so artfully), the marriage between rich, opulent fabrics and grounded, plain context (wide khakis, safari shirts, classic trench), the conjunction between Oriental influences and original military references, all conveyed in the balance of impeccable tailoring and perfect styling. It felt glamorous and current at the same time. A true fashion moment, with a timeless appeal. I’m so glad to hear somebody else say it. Many of the collections were indeed disappointing. And you’re right—too much fawning from the press. Too much of a focus on the celebrity models and the celebrities in the crowd. I expect good collections from American designers like Ralph Lauren and Michael Kors. Nothing too surprising there. But when it comes to *wanting* to be pleasantly surprised, there weren’t a lot of places to look. 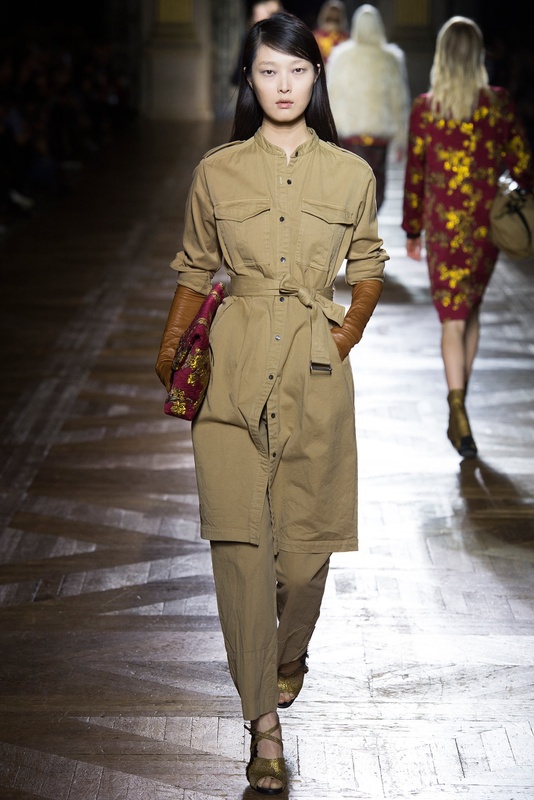 Max Mara (which you wonderfully featured a few weeks back) and Prabal Gurung did it for me, but those are the only two shows that come to mind in a pretty large field. 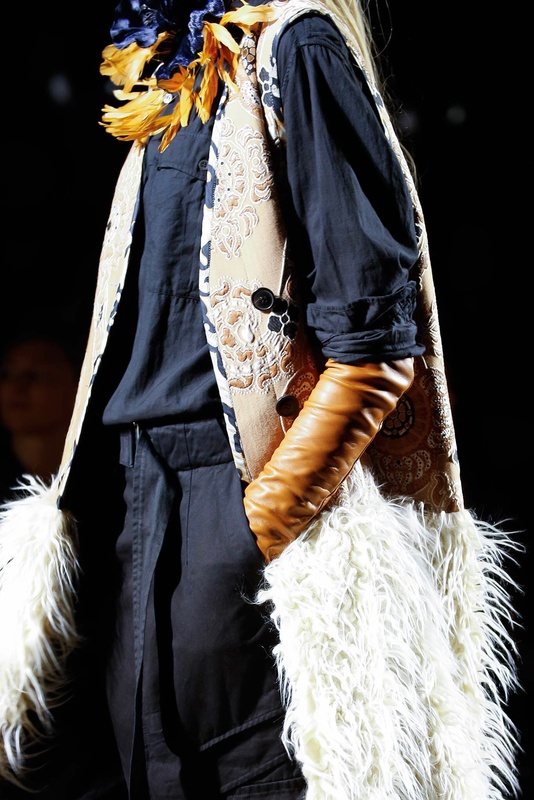 Even the Hermès show, which I look forward to (and the last couple of seasons had been great), was disappointing. Of course, I’m biased: I look for a sense of timelessness and some kind of wearability in any collection. Thank you for this piece—I’ll definitely go back and take a look at the DVN show again. There is always something I usually like at Ralph Lauren (admittedly, one of my all time favourite designers) and Michael Kors. I do like wearable collections too. And I haven’t changed my mind about the Max Mara collection either. There have also been looks I liked in various shows. 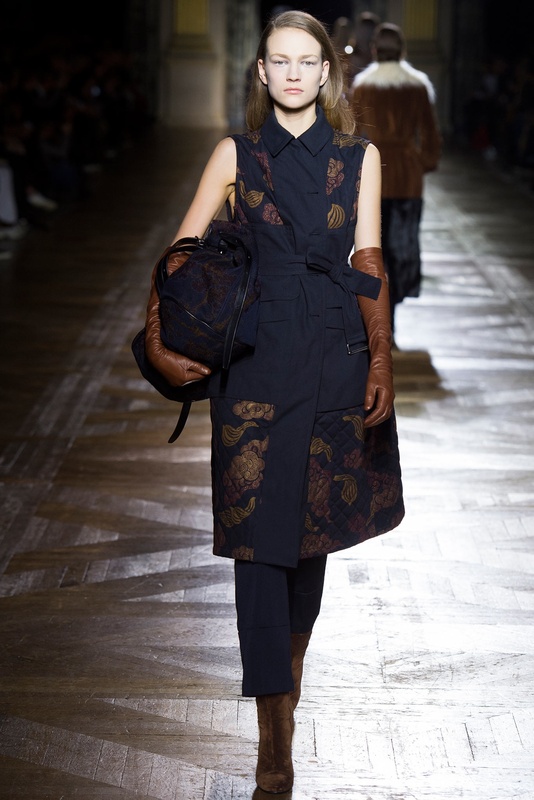 But the blog post today was particularly about PFW. 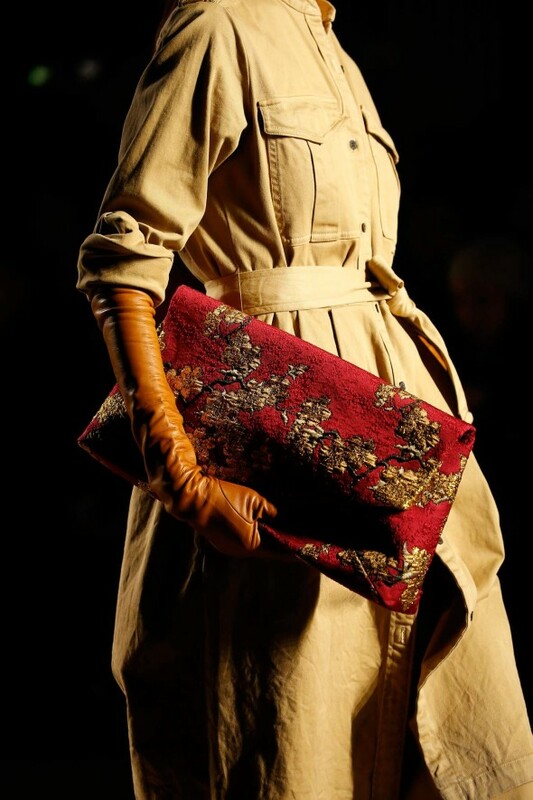 Furthermore, when it comes to runway shows, I don’t look only at what I would wear or what is the most practical. I like to look for something more, something that makes a collection a little more about fashion too, no matter how good the styling is or how many timeless pieces it includes. To be current, but fashion-forward too, to make you think a little. your description of this collection was so well articulated! i wasn’t sure what to think until i read it (i admit i scrolled first ;)). but, yes, the balance and juxtapositions here are phenomenal. My man Dries always delivers! His was the only collection I viewed from the beginning to the end, many times, enjoying it every time.